A first quality brush with an economic price tag. 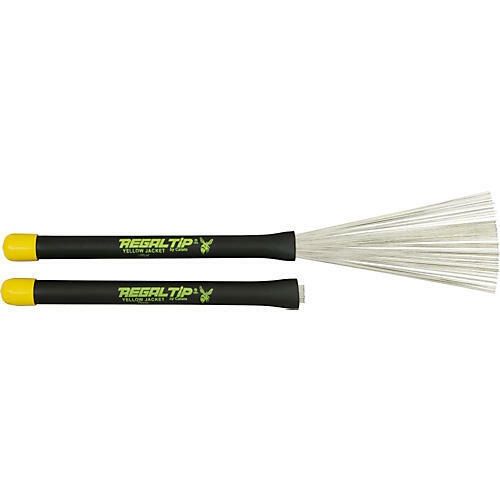 The Regal Tip Yellow Jacket Throw Brush is a first quality drummer's brush with an economic price tag. The brush wires store inside handle for protection and easy transport. Regal Tip set the industry standard in design and reliability of fixed and adjustable spread brushes for percussionists. You will feel the difference with Regal Tip brushes. Add this high quality brush to your stick arsenal.